IS LOVE RISKY? You’ll have to answer that question on your own! But there’s one component—kissing—that our practice would like to briefly address below (along with some advice from the Academy of General Dentistry). We know it’s not pleasant to think about, but it’s true—your mouth is full of bacteria. Some of it’s good and some of it isn’t. For the most part, your body (and your mouth, specifically) does a pretty good job of keeping bacteria, germs, and viruses that make their way into your mouth in check. But increased bacteria can also lead to increased plaque. Maintaining great oral hygiene habits is the very best way you can help your mouth do its job. Cold Sores – Cold sores are a manifestation of a herpes virus. Even when there are no signs, it can be contagious. Colds And Flus – Lots of viruses are included under the blanket “common cold” term. Colds happen, but you can decrease the spread by avoiding kissing while you’re sick. Mononucleosis – Also known as mono, glandular fever, or the kissing disease. It’s caused by a virus infection that’s easily spread by saliva, and can knock you out for weeks. We’re not condemning kissing! Think about the benefits! Kissing increases saliva flow, which is great for your teeth and oral health. And of course, an affectionate peck can make you happier and strengthen relationships, which leads to better overall health and wellbeing. So don’t put the brakes on a great relationship just because you’re worried about germs! Just be smart, make sure that you maintain great oral hygiene, and that you always know who’s on the other end of that kiss. 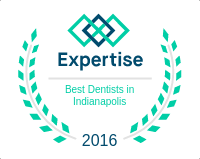 We love answering your questions about ANY dental or oral-health related matter. It gives us a chance to know you better. You can also read the full article from the Academy of General Dentistry if you’d like. Give us a call, leave a comment below, or send us a direct message on our Facebook page. We’re always happy to discuss things with you!